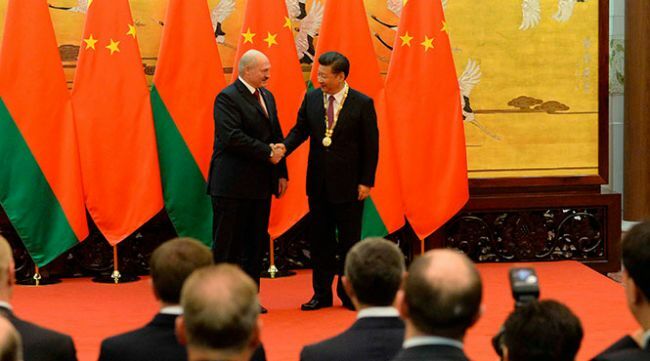 Belarusian experts have commented to EADaily on the results of Alexander Lukashenko’s Sept 28-30 visit to China. Unfortunately, Alexander Lukashenko’s visit to China has not given results Minsk expected. A month before, the deputy head of Lukashenko’s administration Nikolay Snopkov said that it would be a “breakthrough” visit. The Belarusians expected the Chinese to help them to overcome the most serious crisis they have faced since the early 2000s. But the Chinese are not going to be just donors and are lending the Belarusians money only on condition that they buy their goods and services. The example of the modernized Belarusian cement plants has shown how “good” these loans are. Today Belarus is facing a decline in direct foreign investment and China is also investing less. During the visit Lukashenko signed a declaration and almost 30 insignificant memoranda. He signed no single contract and no document that could mean a “breakthrough.” The visit was a disappointment. Belarus has nothing to offer to China except flattery. But they in China can tell flattery from ritual compliments. And Xi Jinping is not going to pay Belarus for flattery. Considering the last years’ contacts between Belarus and China, one might well expect Lukashenko to fail in Beijing. The Chinese have made it clear that they are not interested in the Belarusian economy. The only sector they are interested in is the military complex. This is why they are giving Belarus just swap credits. But Lukashenko still hoped to get money from them. But all he got was a pile of insignificant memoranda, gifts, awards and smiles. 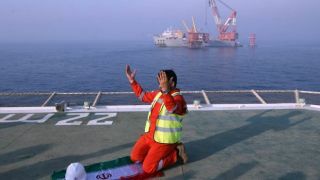 It is time for him to understand that nobody cares for him and nobody will give him money, especially China.